Incidentally, if you have a chance to buy the magazine called Machine Knitting Chic Baby, it is well worth it. 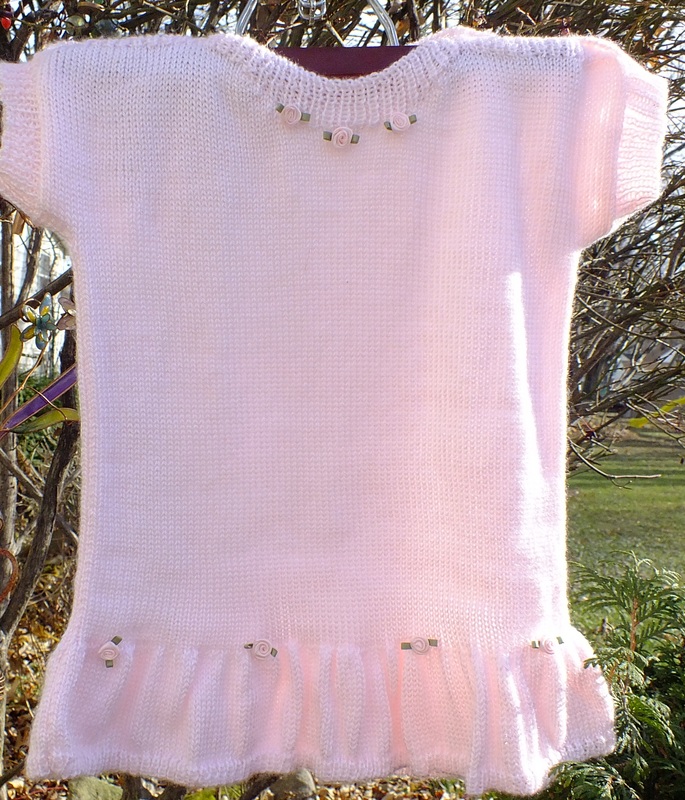 It has over 60 ideas to knit for babies and they are CUTE! There are sweaters, pants, sets, dresses and more. All patterns have the schematics so you can change to your yarn and tension if you don’t have what they call for. This can be knitted on any machine. I would use the passap the next time. The color is a light pink. It is hard to get a good picture at night and I have to give this to the lady tomorrow.